• 1317 sqft , 2 bath , 2 bdrm single story – FOR SALE USD289,000 . PRICE IS FIRM!! 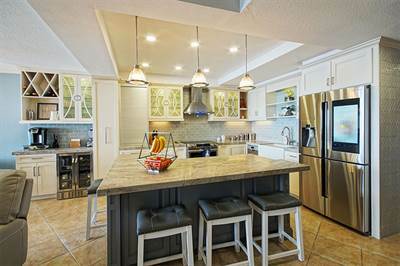 Beautifully remodelded Condo in Tower 2 of La Jolla del Mar. 2 Bedroom, 2 Bath. 1.- 4 Door/french Door with icemaker-wifi enabled-regridgerator is set up to a water filtration system. Custom White Cabinets, Drawers are light up when opened. Pull out Spice Rack conviently next to stove. Pull Out Pantry with pull out drawers. All Kitchen Cabinets are equipped with Organizers for Pots, pans, lids, trash containers, etc. *Island Counter with Bar Stools. The Living Room offers a Pull-out Sleeper Bed, very comfertable mattress. A Large Curved TV in a Built in Wall unit. Lard Sliding Double Pane Doors with remote controlled roll down shades. The outside terrace offer great views of the Pacific Ocean, beautiful sunsets are enjoyed while sitting on Comfortable patio furniture and fire pit. The terrace is also equipped with a wine cooler fridge. BBQ Grill and roll down shades that offer extra protection on thos sunny baja days. The Master Bedroom is Oceanfront. It also comes with remote controlled roll down shades. The Master Bath comes with double sinks, full shower. Guest Bedroom with a full size Closet. *Added 1 Foot extra in the Shower. Built in Nooks for Shampoo, etc. Quartz counter with Custom Cabinet. Recessed Led Lighting Throughout Condo. BEACH Access, nice Sandy beach almost a mile, for those long walks. La Jollas Amenities: 4 pools, Jacuzzi, Beach Front Gym, Beach Front Club House, BBQ Areas, Restaurants and Coffee Shops within walking distance minutis from down town. 20 minutes from the San Ysidro Border. 40 minutes from Ensenada and Guadalupe Wine Valley. If you are looking for a Modern Condo NOW but dont want to wait for it to be built……. then this is the condo for you!! 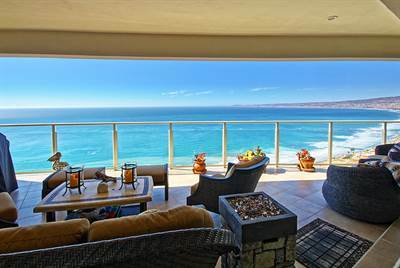 Please call and make an appointment to see this amazing Ocean Front Home. • 1200 sqft , 2 bath , 2 bdrm single story – FOR SALE USD319,000 . Just Reduced! 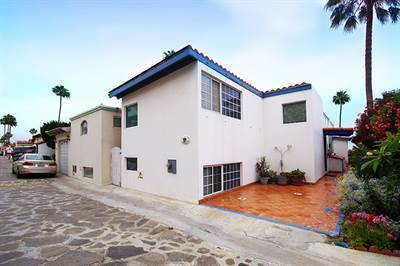 in Las Gaviotas, Playas de Rosarito Announcing a price drop on 39 Las Picudas Este Km. 40.5 Carretera Libre Rosarito – Ensenada, a 2 bath , 3 bdrm single story. Now USD949,000 . Right on the water. • 3300 sqft , 4 bath , 6 bdrm duplex – FOR SALE USD365,000 . Beautiful Water View Condo. With 3 Bedroom, 3 Bathroom, a huge Walk-in Closet, and Laundry Area. 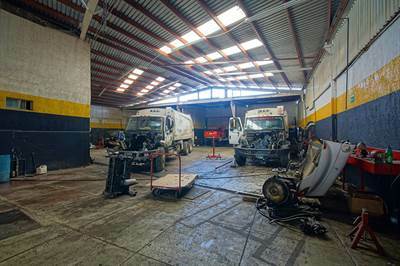 Located at Km 50.5, Carretera Libre Tijuana – Ensenada, Rosarito Beach. 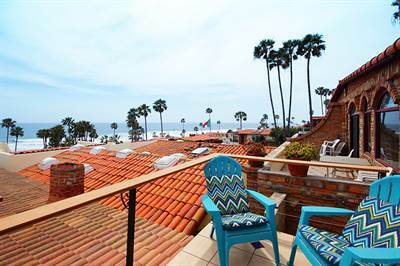 Palacio del Mar offers resort luxury living and first class amenities. • 1632 sqft , 3 bath , 3 bdrm 2 story – FOR SALE USD399,000 . Best Deal ! One of Baja‘s most famous landmarks, the historical Rosarito Beach Hotel. Since it first opened its doors in 1925, millions of visitors as well as movie stars, presidents and international royalty have been attracted to it‘s romantic old world charm and loving hospitality. Its popularity spawned the birth of the city of Rosarito Beach, just 30 miles south of San Diego. Just a scenic 20 mile drive south of the U.S.-Mexico border (or 35 miles from San Diego‘s airport), Rosarito Beach is rich in fine restaurants, art and culture, nightlife, shopping, natural beauty and outdoor activities from fishing to surfing. It is a place where Mexican history and culture blend with the latest trends, where the old and new California meet. 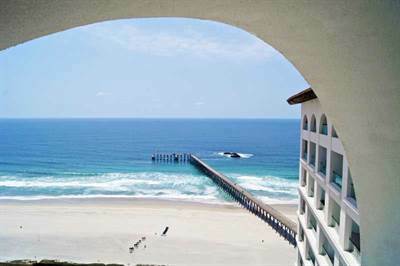 It‘s what makes Rosarito Beach real estate especially attractive. It is fueled by people from the U.S. seeking a second or vacation. People from warmer parts of Mexico have also been drawn to its near-perfect Mediterranean-like climate and Rosarito residents now include 15,600 international expats. 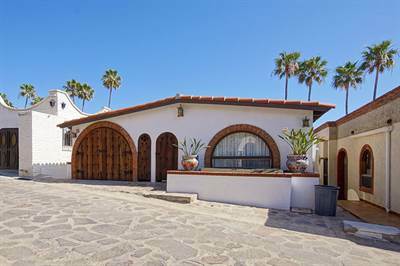 They are primarily attracted to Rosarito Beach real estate by prices that are a fraction of those is the U.S., available financing and the security of title insurance to protect their investment. • single story – FOR SALE USD399,500 . Investment Opportunity !! The buyer will have a once in a lifetime opportunity to play a round of golf with the famed Johnny Miller as a bonus !! • 2 bath , 2 bdrm 2 story split – FOR SALE USD419,000 . This home features a practical foyer on the center topped with skylights to fill the entire house with natural light. The foyer acts as an open link for the bedrooms and the great room. The kitchen is fully equipped with plenty of cabinetry space, it also has an ocean view, the island in the middle acts as a corridor between the kitchen and the dining area which sits right by the floor-to-ceiling windows to take advantage of the balcony’s ocean view. The living room is spacious with a fireplace and wide ocean views and plenty of mirrors to enhance the experience, from here you can access the balcony. The balcony is warm and big enough to accommodate tables and chairs if you wish to entertain outside or to just relax and enjoy the sunsets. From the balcony you can go around the house and you’ll find the stairs to the roof terrace, that can double as a sun deck. Here you can host large gatherings and reunions or use it just enjoy the view. There is a small shed on the outside that harbors the washer and dryer. Th driveway fits one car but you can also park another one in front of the house. • single story – FOR SALE USD900,000 . existing auto mechanic shop, established since 2005. • 2300 sqft , 3 bath , 3 bdrm 3 story – FOR SALE USD230,000 . 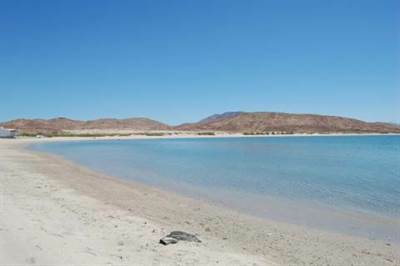 Enjoy the amassing ocean views during the day as well as in night time of northern Baja beautiful coastline. 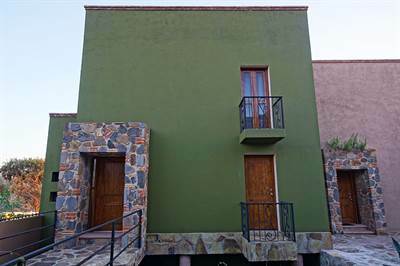 Located just 10 minutes south of Down Town Rosarito , this 3 story 3 bedroom, 3 bathroom house seat high on a hill side overlooking Puerto Nuevo Bay. 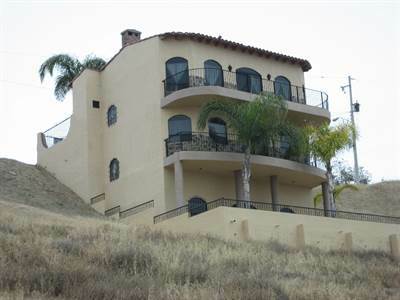 Has views as far north as Calafia and south to Primo Tapia. No water or sewer yet. Electricity, phone lines and internet are available..